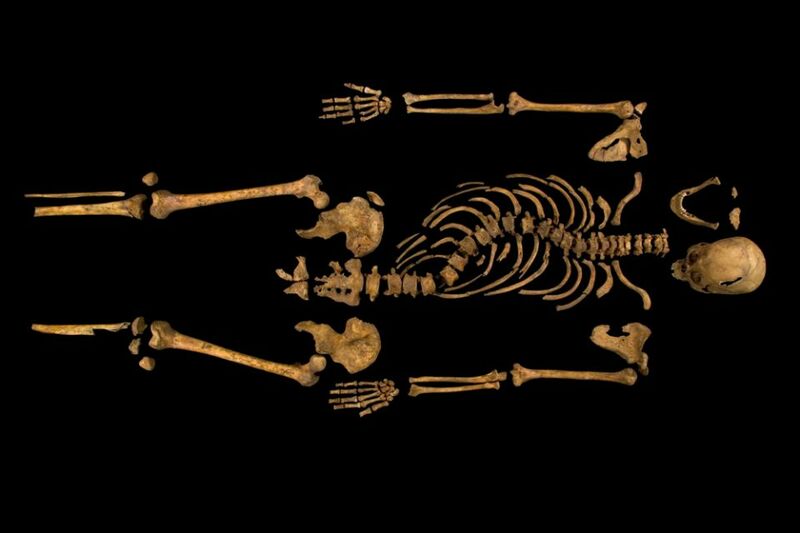 A cold case more than five centuries old was closed this month, by researchers who announced they’d identified the remains of England’s King Richard III — with 99.999 per cent certainty. But the findings opened deeper mysteries, and a social conundrum that could only have been conjured by molecular science. 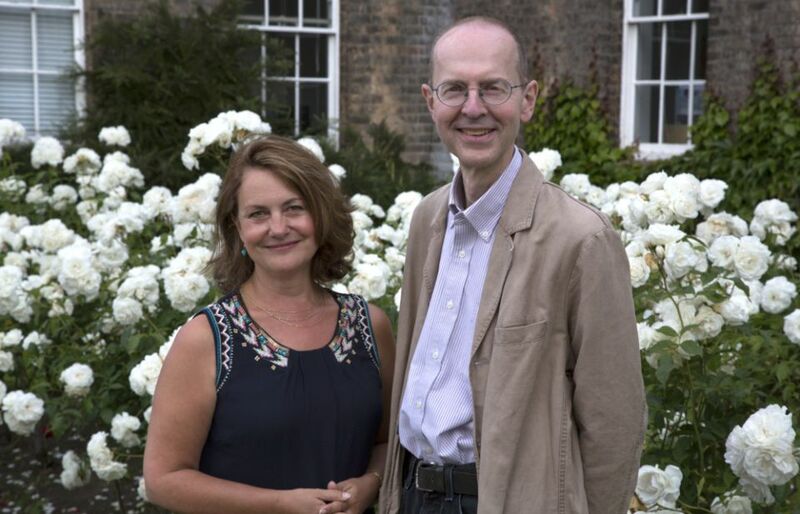 The male lineage of man known as King Richard does not match with Britain’s royals, they said, raising the possibility of a cuckold in the pasts of the Plantagenet and Tudor clans, and even of Britain’s current royal family. The scientists began studying DNA from a skeleton found in 2012 under a car park on the historical site of Greyfriars Abbey in Leicester, England, where Richard III was killed in 1485 in the Battle of Bosworth. 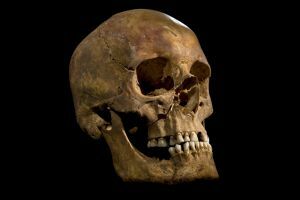 The researchers said they made the match by comparing mitochondrial DNA from the bones to female-line relatives of the king, Michael Ibsen and Wendy Duldig. 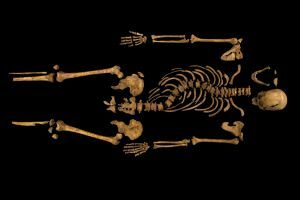 But they found the male line of descent broken “at one or more point in the line between Richard III and living male-line relatives descended from Henry Somerset, 5thDuke of Beaufort,” they reported in the science journal Nature Communications (paywall). 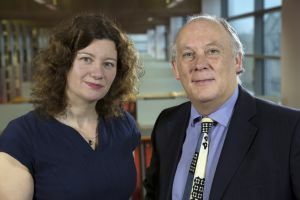 The research was performed by geneticist Dr Turi King and history professor Kevin Schürer, both with the University of Leicester. 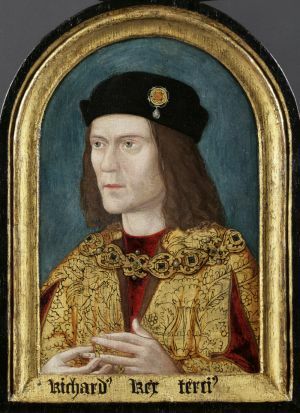 Richard III is one of the most famous and controversial English kings. His ascension to the throne in 1483, following the death of his brother, Edward IV, has been seen as contentious, involving, as it did, discrediting the legitimacy of Edward’s marriage and therefore the claim of both of Edward’s sons to the throne. Later, as yet unproven accusations arose that Richard had his two nephews murdered to solidify his own claim. Richard’s death two years later on August 22nd 1485 at the Battle of Bosworth marked the end of the Plantagenet dynasty, which had ruled for over 300 years, and the beginning of the Tudor period. 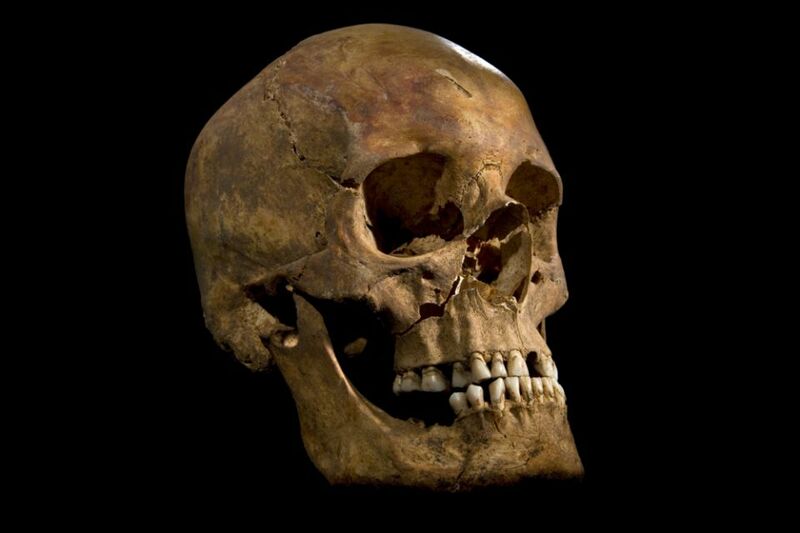 Richard III was the last English king to be killed in battle, he became one of Shakespeare’s most notorious villains, and is one of the few English monarchs whose precise resting place was lost: the mystery surrounding the fate of his remains persisting to the present day. 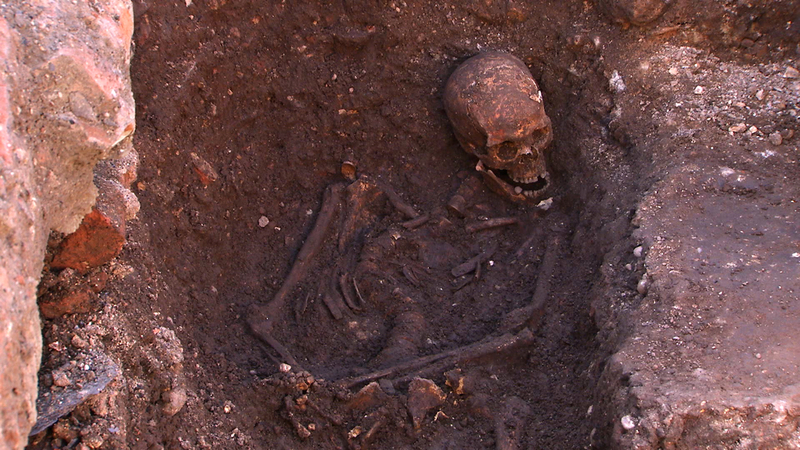 Historical records report that after Richard III was killed on the battlefield, age 32, his remains were brought back to Leicester and buried in the medieval church of the Grey Friars. The friary was dissolved in 1538 under the orders of King Henry VIII, with most of the buildings being torn down in the following years. 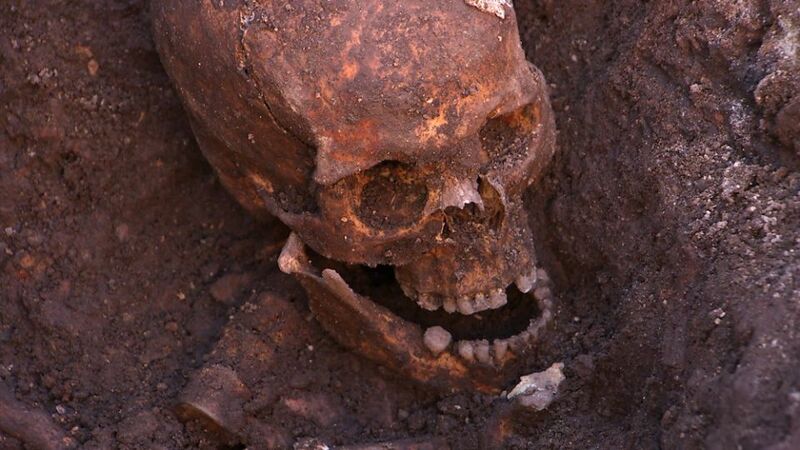 Approximately 125 years later, a rumour arose that Richard III’s remains had been disinterred during the dissolution of the monasteries and thrown into the river Soar in Leicester. 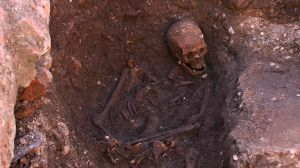 However, it had long been thought that this rumour was unsubstantiated and it was therefore expected that the grave of Richard III should still lie within any remains of the Grey Friars church. While historical records and the subsequent analysis thereof have long indicated the approximate location of the Grey Friars friary, and its likely situation in relation to the modern urban landscape of Leicester, the exact site of Richard III’s grave had been lost in the 527 years since his death. “We may have solved one historical puzzle, but in so doing, we opened up a whole new one,” Schurer told BBC News. Ironic that Richard, who apparently based his claim to the throne on the illegitimacy of his rivals, was himself likely illegitimate. More recent reports have also indicated that there is at least one other paternal break in those English royal lines, making one wonder just how many “false paternity” events there were back then and if any of the English royals were/are “legitimate”. No wonder such a system of entitlement drove power mad royalty to develop those barbaric chastity belts for “home alone” wives.